This is a great read about a small group of malevolent friends who use their psychic abilities to control others in an annual contest to see who can create the most spectacular murders. The combination of blue-blood gentility and sociopathic vigor make "Miss Melanie" a great villain. The narrators also did a great job, especially the first-person narrative of Melanie. Okay, so this isn't Tolstoy by any means, or even Stephen King. 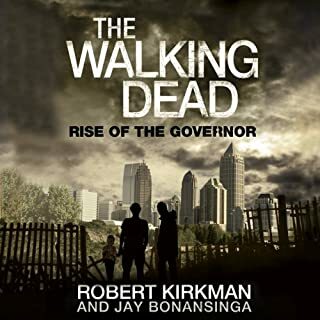 But it was a diverting read and allows me to cryptically make comments to other Walking Dead fans indicating I know more than they do about The Governor. I had meant this as a temporary break from what I consider more worthwhile reading, but downloaded the second book in the series as soon as I finished the first. 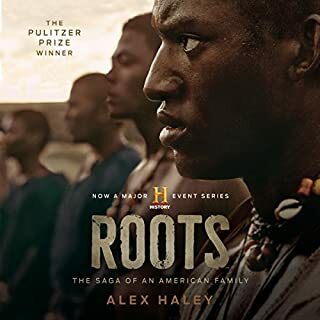 I'm trying to space it out since the TV series does not resume til October (would that I had I their work schedule), but I keep hitting the second book like it's a crack pipe. In summary, if you aren't a fan of the show OR the genre, steer clear. If you like the genre but have never seen the show, (once you come out of your cave) give this book a try. If you like the genre and the show, I think you'll love the book. 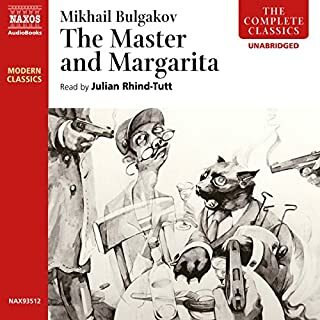 The Master and Margarita consists of two different story tracks: one involves Satan and his companions arriving in 1930's Moscow, the other involving the crucifixion from Pontius Pilate’s point of view. These two narrative threads are intertwined throughout the novel. The adventures of the Devil and his retainers in Moscow are delightfully absurd. Their brief sojourn in the city is a direct affront to the Stalinist order as they confront corrupt bureaucrats at every turn. This is (I believe) the only classic of Russian literature in which a huge black cat attacks the NKVD with a machine gun. In retrospect, it is a great example of Stalin's caprice (especially when it came to artists) that Bulgakov was allowed to continue breathing, much less working. Not surprisingly, this work was not allowed to be published after well after the deaths of both men. The passages dealing with Pilate are beautiful. One almost feels sympathy for the Procurator and the sticky situation he finds himself in, trapped between his desire to administer Roman justice and his need to keep the local population mollified. The part concerning the initial trial of Christ is particularly well written. Even though this is generally regarded as one of the best novels of the twentieth century by many intellectual types, it was a satisfying read and did not feel like "culture". It is depressing to think what other great works might have come out of Russia during the last century if the Soviets had not suppressed all art that did not support their concept of Socialist Realism. The narration on this was PERFECT. 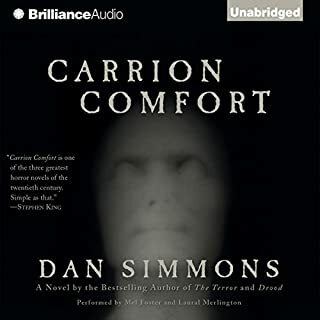 The author's change of tones between the two tracks of the story and his different voices for the characters, especially the devil's retainers, were superb. At the end of World War II, the Soviet Union to its surprise and delight found itself in control of a huge swath of territory in Eastern Europe. Stalin and his secret police set out to convert a dozen radically different countries to Communism, a completely new political and moral system. 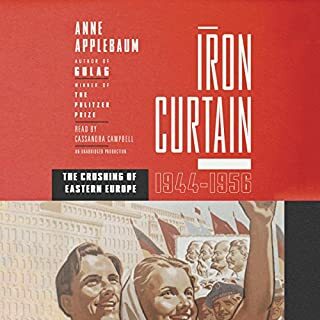 In Iron Curtain, Pulitzer Prize-winning journalist Anne Applebaum describes how the Communist regimes of Eastern Europe were created and what daily life was like once they were complete. I just couldn't. Within the space of about an hour I came to loathe the protagonist of the story. I'm not sure if it was the narrator, who has (to my ear) a sneering, condescending voice, or the actual character himself, who I found to be an insufferable jackass. Probably a combination of both. That said, perhaps the voice acting was spot-on (it's this possibility that made me up the performance rating from 1 to 2 stars). Perhaps he perfectly captured the tones and nuances of the first person narrator of the book, who came across as the kind of person you would jump out a window to get away from at a cocktail party. It's hard to enjoy a zombie story when you feel that. 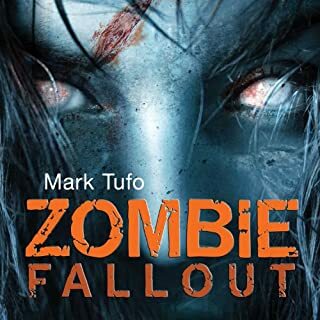 were you in the shoes of one of the other characters, you'd prefer the company of the zombies. This is one of the best books I listened to this year. I had thoroughly enjoyed the movie and was worried that Ron McLarty's Sully would not equal up to Paul Newman's. This was a needless fear. McLarty came through as he always does, offering up Sully in a voice that conveys the same witty, resigned gruffness so central to the character of John Sullivan. 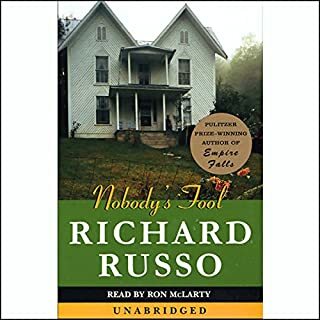 Another element of the movie I loved, the full tableaux of interesting characters in the town of North Bath, is (not surprisingly) more fully and deeply explored in the novel. Add to this a few key events in the novel that were either left out of the movie or drastically altered and the experience is fresh even for someone who has seen the film multiple times. Bravo! 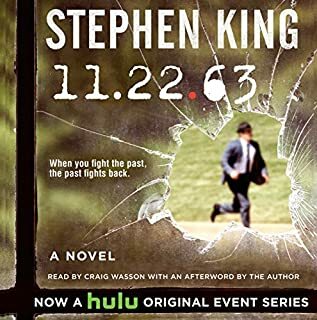 I am a huge fan of Stephen King's older works but had not really kept up with anything he wrote after about 1994. Deciding to return to the ranks of "Constant Readers" this year, I began working my way through the backlog that had built up in the almost twenty years since I had read any of his works. My opinion of what I read during this catch-up exercise was that while almost all of the "newer" stuff were good reads, nothing stood up to the glory days of "The Stand" and "Salem's Lot". "11-22-1963" is the exception. Its place in the King pantheon is not based on chill factor - there is very little of that in this book. Yet it stands with his best because of the narrative quality and - I hate to say it - the great love story between Jake and Sadie. Another great surprise was finding myself back in Derry, Maine after an absence of some years. Fans of a certain previous work will enjoy returning and running into some old acquaintances. Craig Wasson is perfect as the narrator. There have been some books where I really loved his performance - "The Mothman Prophecies" in particular - and others where I did not. This is definitely a win for Wasson. Yes, this listen requires a substantial commitment and yes, “Lisey's Story” and “Cell” and certain other later works might not have been up to what constant readers expect. But take the chance on this one, it is well worth it.